can be found inside my Farm Activity Pack! The following Farm related Printables can be purchased in my shop or downloaded in the Pre-K Printable Club Member Download area. Not a member?Join today for unlimited access to all of my printable products. 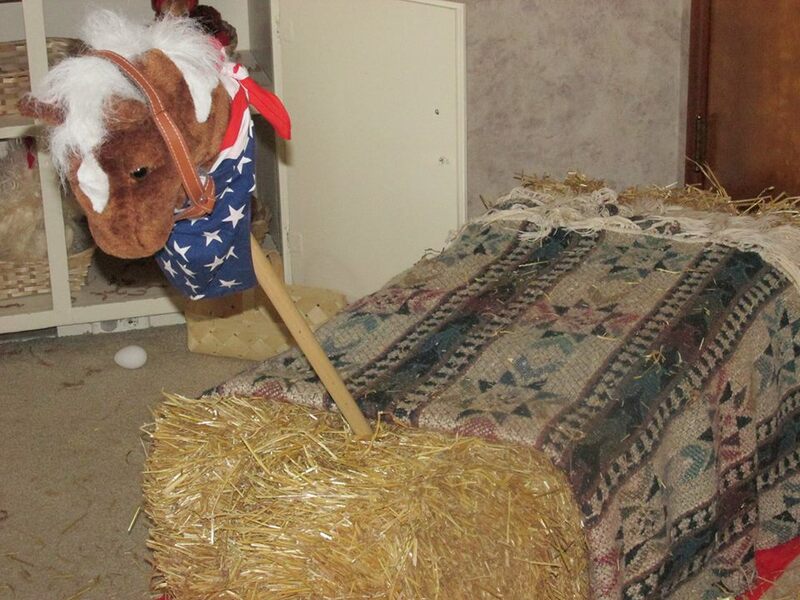 Create a Farm: Add a Barn, Pretend Animals, Hay Bales, and Ride on Horses. 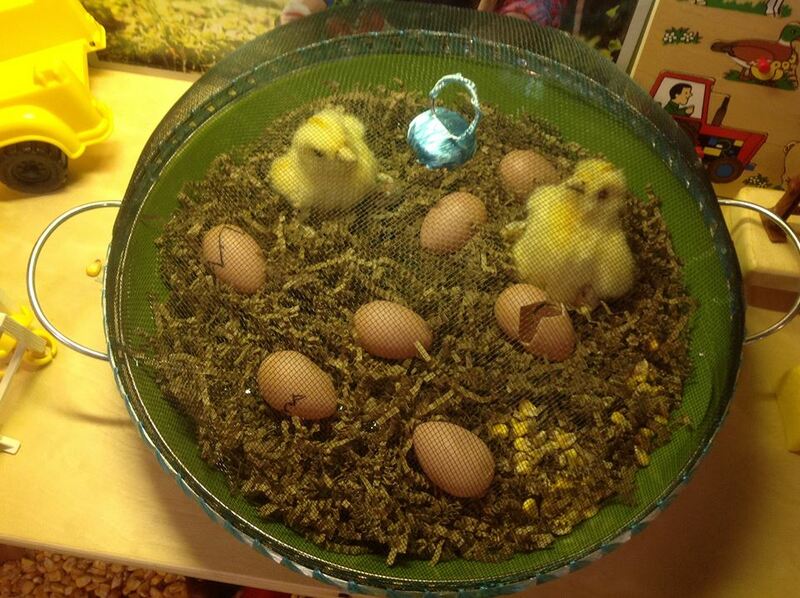 Include a home for the animals on the farm such as a Barn, Stable or Chicken Coop. 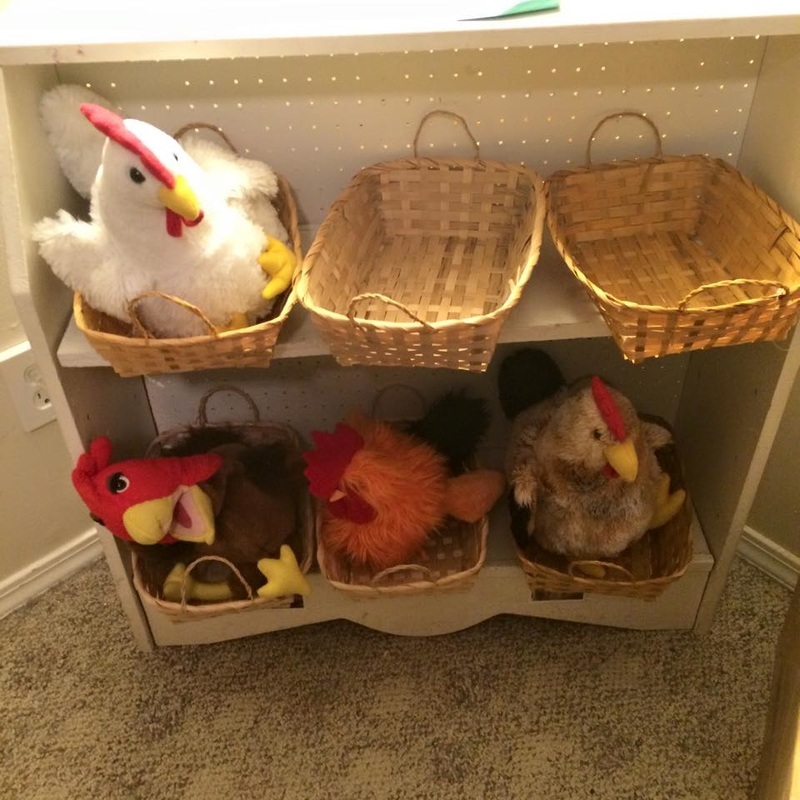 Add the following Dress-up items to the Dramatic play area: bandanas, Cowboy Hats, Overalls, Rubber Boots, Pails, Stick Horses, work gloves, straw hats, Animal Costumes, and plaid shirts. 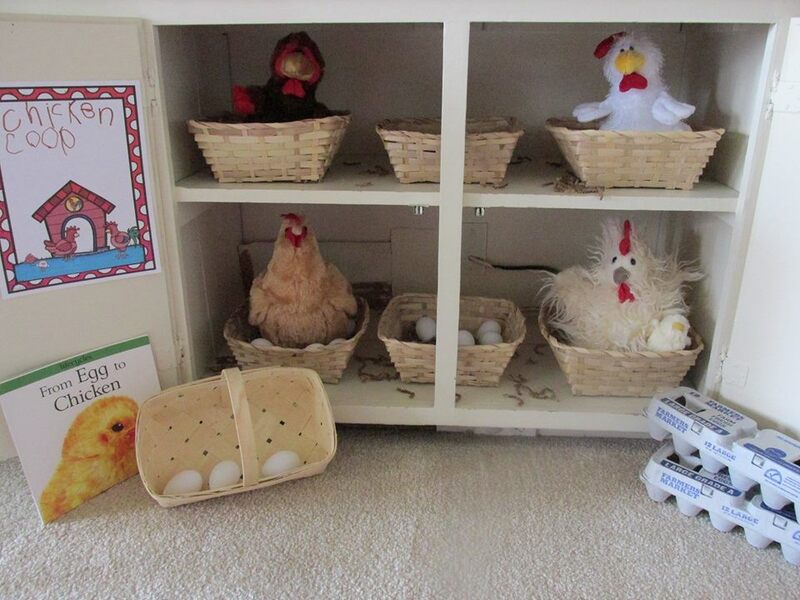 Create an invitation to view pretend eggs hatching such as Christine G. did below. Christine Says: "Over night each night I drew cracks with a sharpie, cut cracks, and put a new chick in until all the eggs "hatched". We had so much fun!" Add a Market Stand, a Garden for Picking Fruits, and Vegetables. Add baskets, a cash register, and signs. 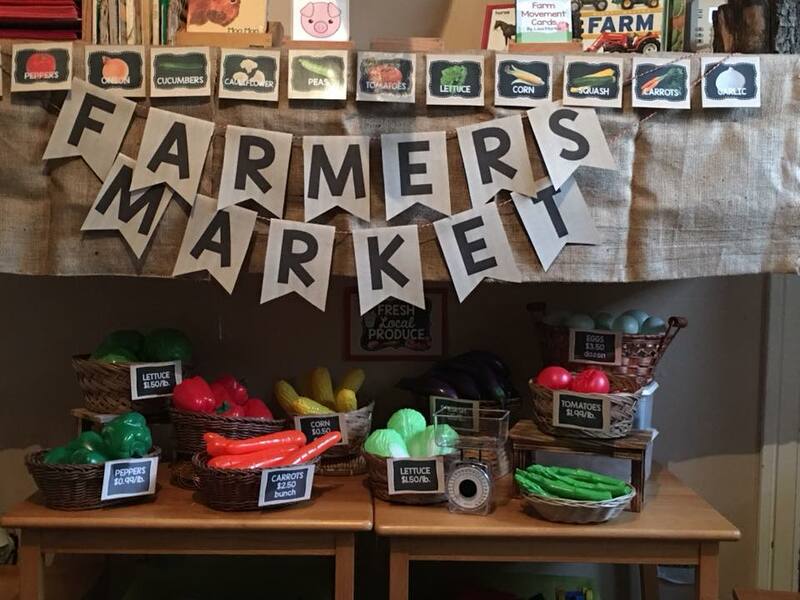 Club Member Alegria P. set up this adorable Farmer's Market using this dramatic play set! Add a variety of Farm Animals, Tractors, Barns, Fencing, Blocks to build Barns/Stalls to your construction space this week. 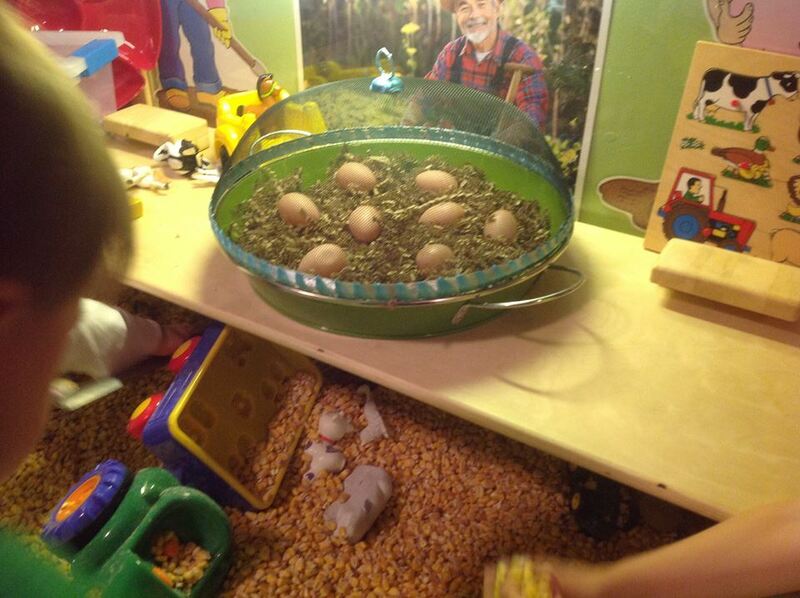 Farm sensory table from Daycare Spaces and Ideas Community Christine G.